The VariGrip Therapy is the only exerciser with patented ability to adjust tension in each individual finger. As not all fingers have equal strength, each single finger knob can easily be adjusted. - Jennifer Hirsch-MS, OTR/L, ATC/L, CSCS, CKTP+, FMT: "The VariGrip products are wonderful! They provide a much nicer feel due to the palm grip and the padded finger area is better for those with sensitivity issues. It is much more user friendly, so patients almost can't mess up how to hold it, plus makes it easier in providing accurate home exercise programs." - Ellen Hamm-OTR/L, El Paso VA Health Care-Occupational Therapy Dept. 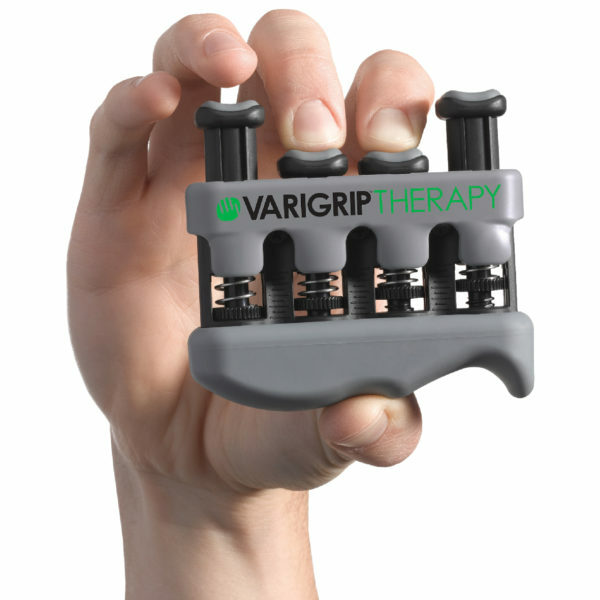 "What I find superior about VariGrip Therapy is the ability to work finger isolation and individual finger strengthening. I am also impressed with the variety of tension offered. Overall this is an excellent product that I would recommend to any clinic."